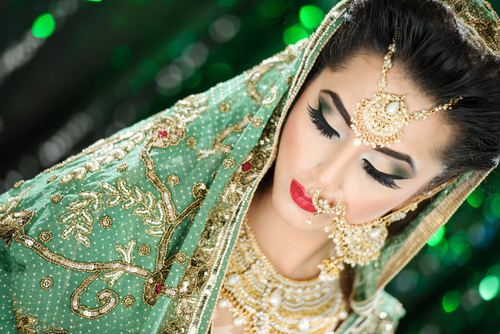 9 Bridal Beauty ‘Rules’ You CAN Totally Ignore! 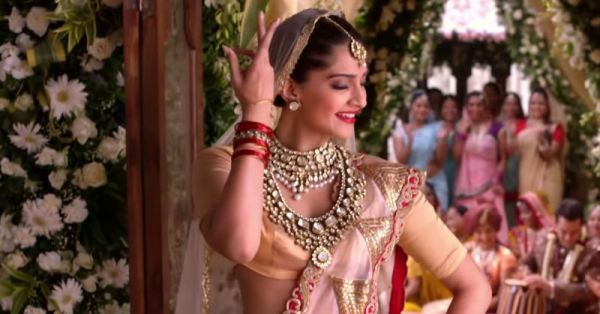 The way brides dress up nowadays - from the colours they choose for their wedding outfits to the kind of jewellery they opt for - everything is changing and brides are breaking the traditional outfit rules with swag. 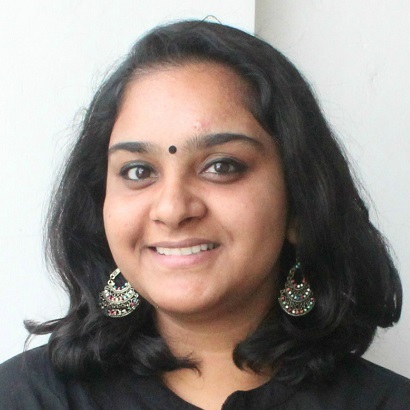 So why can’t they break some of the beauty rules too that are being followed since ages? If you’re not sure about how to go about it, we have come up with a list of bridal beauty rules to break! Go ahead and be bold, after all, some rules are made to be broken, right? 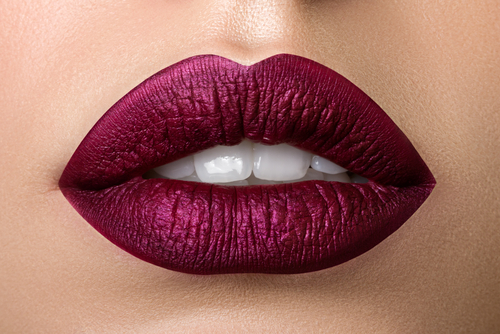 Don’t even listen to anyone who tells you not to go bold on both your eyes and lips! 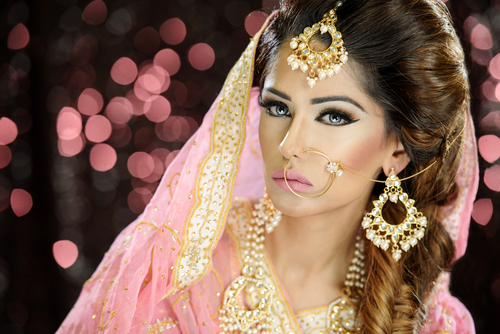 If your bridal outfit is a head-turner (which we are sure, it is), going tastefully bold on both eyes and lips brings attention back to your face! Moreover, you’ll look gorgeous in your wedding pictures. Besides, this is one day you get to go all out with your makeup! You can skip the floral accessories if you feel there’s already too much jewellery on your head. If you’re not careful with fresh flowers, they can wilt pretty soon and ruin the look of your beautiful hairdo. Red or pink might be conventional lip colours for the bride but these days there ample shades to choose from. Shades like wine, oxblood, orange and burgundy should be on your must-try list! As long as the mascara is waterproof, go ahead! It will make your eyes pop in photographs and you will look oh-so-beautiful with those long lashes. 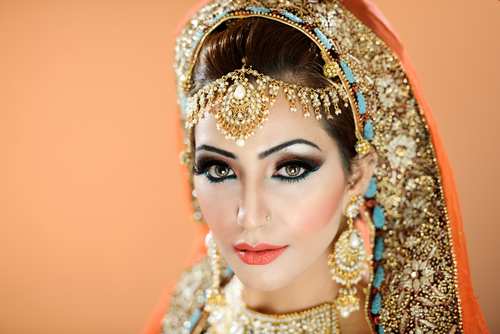 Also read: 10 Makeup Artists EVERY Bride Must Follow On Instagram! This rule is something you should definitely break! Who says brides cannot keep their hair open? There are some gorgeous hairstyles for brides who want to keep their hair open on the wedding day. Go, check them out! We have seen brides applying shimmer on their backs and all over the face! A little shimmer on the cheeks gives your face a fresh look but worn on the nose or forehead, it gives your skin a greasy appearance. For the lit from within glow, apply sheer gold shimmer on your cheekbones, cupid's bow and just under the eyebrows.